There has been a fair bit about J.M.W. Turner recently. Earlier this year, the nineteenth century painter was exhibited at the National Maritime Museum, which focussed on his seascapes. 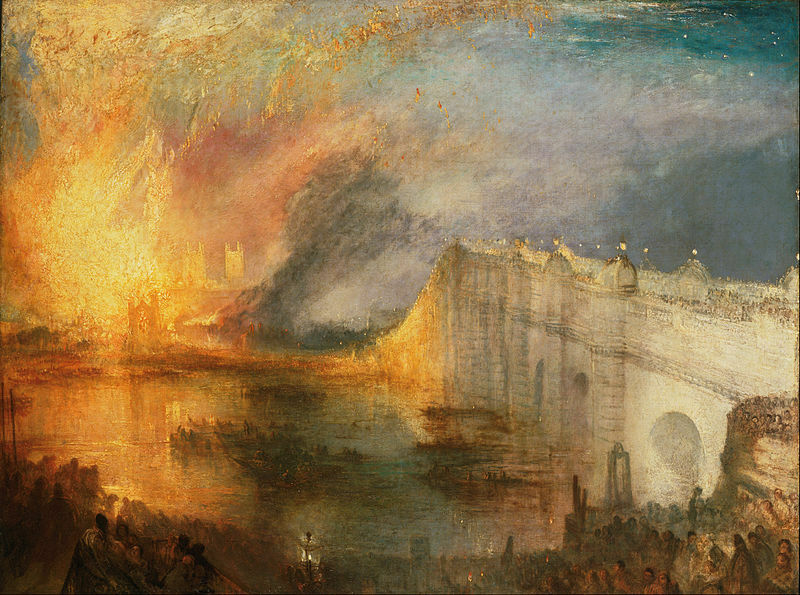 Now Tate Britain is showcasing the artist, looking at the paintings from Turner's later life. Late Turner: Painting Set Free is designed to open from the 10th September and aims to challenge the assumptions made about his late works between 1835 to 1851. These paintings were often controversial and misunderstood; for example The Burning of the Houses of Lords and Commons, 16th October, 1834 surely raised some eyebrows, especially since Turn rushed out to see the fire first hand, and painted water colour sketches while the building went up in flames. A similar example can be seen in newly identified watercolours of a fire at the Tower of London in 1841. Other works on display include Ancient Rome; Agrippina Landing with the Ashes of Germanicus and Modern Rome – Campo Vaccino, which are very rarely shown alongside one another. 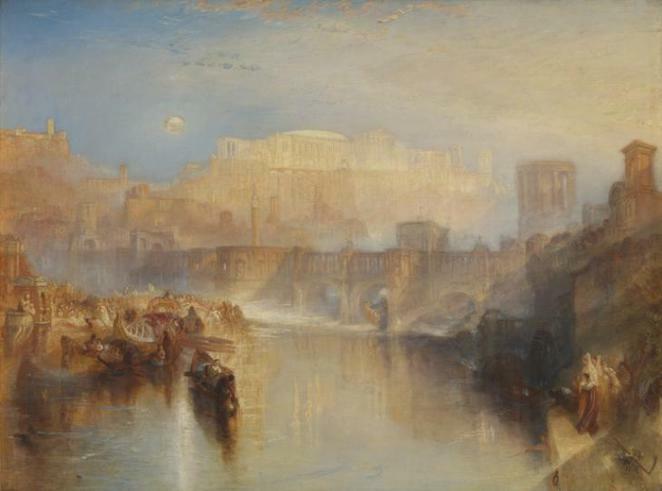 Turner also began History Paintings during his later life, such as a mythological scene depicting Dido and Aeneas. The exhibition runs until the 25th January 2015 with tickets costing £16 for adults, £14.50 concessions, and under 12s going free. There will be a series of talks, workshops, and a film screening also taking place.